Yes, PS3 can play Blu-Ray discs. Sony Play Station 3, better known as PS3, is the third home video game console produced by Sony Computer Entertainment. It is also a media player that could play back HD movies in high quality. It has the ability to receive games and other audio-video content over the Internet. In fact, all the games that come on PS3 are on Blu-Ray format. 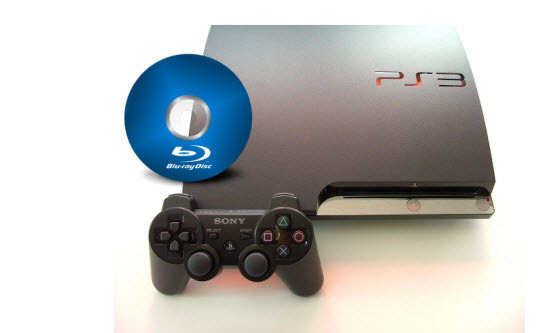 The Playstation 3 was the first Blu-Ray player commercially available on the market. It can also play DVDs and CDs as well. Step 1: Insert Blu-ray disc into PS3’s Blu-ray drive. Playing Blu-ray disc movie works exactly the same way as entering a game, except you need to head into the Video Tab in your PS3’s home menu, rather than the Game Tab. Highlight the Blu-Ray and press X to start it immediately. Step 2: Now the Blu-ray disc will load like a traditional DVD. Use your controller to access the menu, and use the D-Pad to select your option and press X to enter. When the media is playing, you can press triangle to open a mini-menu that will give you access to options such as subtitles, audio channels and volume. You can also access the main menu, using the arrow keys to navigate. Press triangle again to close this menu. Tips: The L1 and R1 buttons on controller allow you to quickly skip back and forward between chapters, while the L2 and R2 buttons allow you to fast forward and rewind at varying speeds. Press the buttons multiple times to cycle faster and press Start to return to normal speed. You can twirl the right analogue stick in a circular motion to fast forward or rewind at more precise speeds. 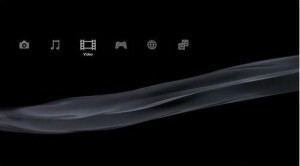 Finally, press the circle button to quit back to the PS3’s home screen. Although PS3 can play Blu-ray disc directly, there are some who would like to convert Blu-ray to PS3 fridenlier video formats like MP4 for various reasons. Some want to well protect the Blu-ray drive of PS3 while some don’t want to see their precious Blu-ray disc get scratched. Therefore, they are looking for a good solution to convert Blu-ray to PS3. In order to convert Blu-ray to PS3, a third-party Blu-ray converter is needed. Leawo Blu-ray Ripper is an easy-to-use Blu-ray to PS3 converting tool to help you rip and convert Blu-ray file to PS3 videos in only a few simple clicks. 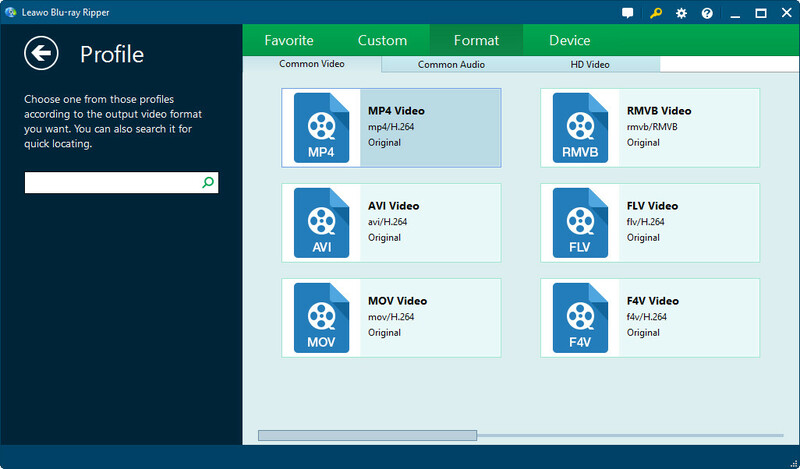 The below step-by-step guide would tell you the details on how to rip and convert Blu-ray to PS3 videos with Leawo Blu-ray to PS3 Converter. Step 1: Download and install Leawo Blu-ray to PS3 Converter, and then launch it. Step 2: Get source Blu-ray movies ready. Insert Blu-ray disc to the Blu-ray drive, or get source Blu-ray folders ready for loading and converting. Click "Add Blu-ray/DVD" button on the program interface. This Blu-ray to PS3 converter would then guide you to browse source Blu-ray movies for loading. Note: After loading source Blu-ray movies, you could select subtitles and audio tracks, play source Blu-ray movies, edit Blu-ray movies, snap screenshots, etc. Next to the “Add Blu-ray/DVD” button, click the dropdown box and select “Change”. You will then arrive at the Profile setting panel to select output format from "Format" group or “Device” group. Select “MP4″ from “Format” or directly choose “PS3″ from “Device > Sony”. 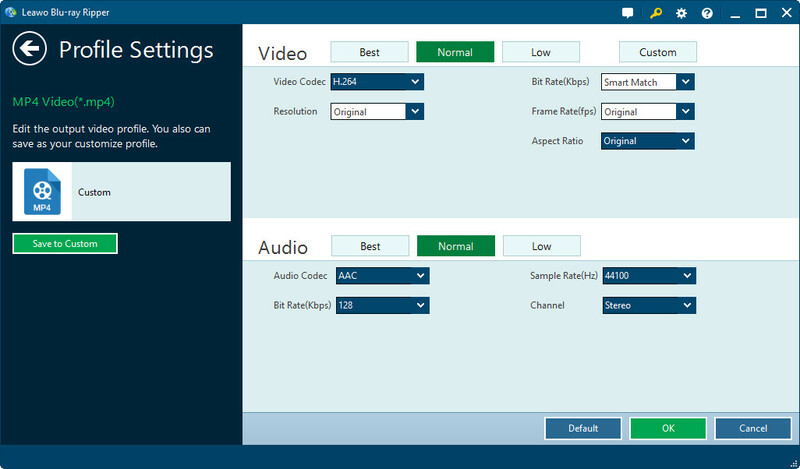 Optional settings: After you’ve set the output format, click the same dorp-down box and click “Edit” option and then you could adjust video and audio parameters of selected profile, including: video codec, audio codec, bit rate, aspect ratio, frame rate, channel, etc. Back to the main program interface, click the green “Convert” button. You could then set an output directory on the right popup sidebar. After setting output dirctory, click the below convert button to let this Blu-ray to PS3 Ripper instantly start converting Blu-ray to PS3 videos. Note: Internet connection is required during the whole conversion. After you convert Blu-ray to PS3 friendlier videos, you can transfer the videos to PS3 and then start to play Blu-ray on PS3 in a indirect way. For details, you can read the extension part. After the conversion is completed, now we should transer Blu-ray movie now in PS3 fridlier video format to PS3 for playing Blu-ray on PS3. Follow the steps below to do so. Here is a simple step-by-step guide for transferring to or watching video files on your PS3 using a USB flash drive or an external hard drive. By following the guidance above, you can achieve your goal of more safely and conveniently playing Blu-ray on PS3 or watching Blu-ray on PS3 for protecting either PS3 Blu-ray drive or your precious Blu-ray discs from being scratched.